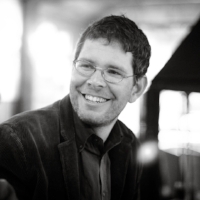 Matthew Power [1974-2014] was an award-winning freelance print and radio journalist and a contributing editor at Harper’s Magazine. Each year, two promising literary journalists are awarded reporting grants through an award set up in Matt's name and endowed by more than 650 friends, family, and supporters. Read more about the Matthew Power Literary Reporting Award and the recipients here, and please consider donating to to help continue Matt's generosity in offering a hand up to the writers who tell stories that connect us to one another and open up the world.